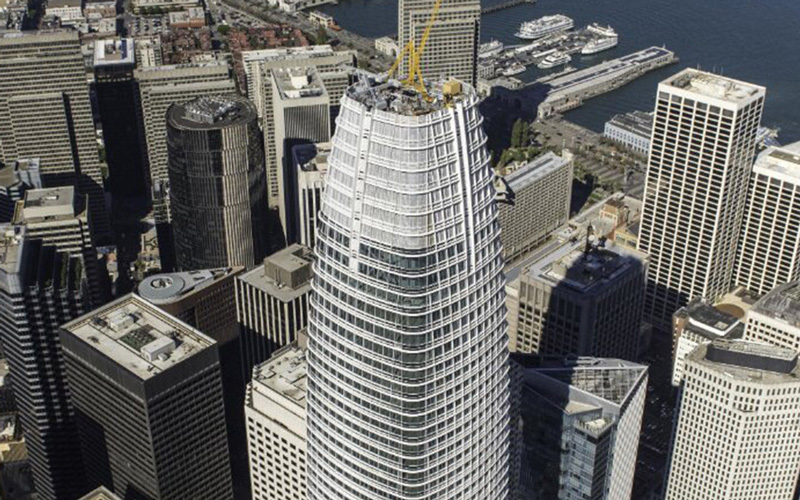 Salesforce Tower in San Francisco, California has just been LEED Platinum® certified. The building features passive solar shading, geothermal cooling, and wind power generated by 4 wind turbines. Benson Industries also provided the high-performance glazing for the 1,070-foot office skyscraper.